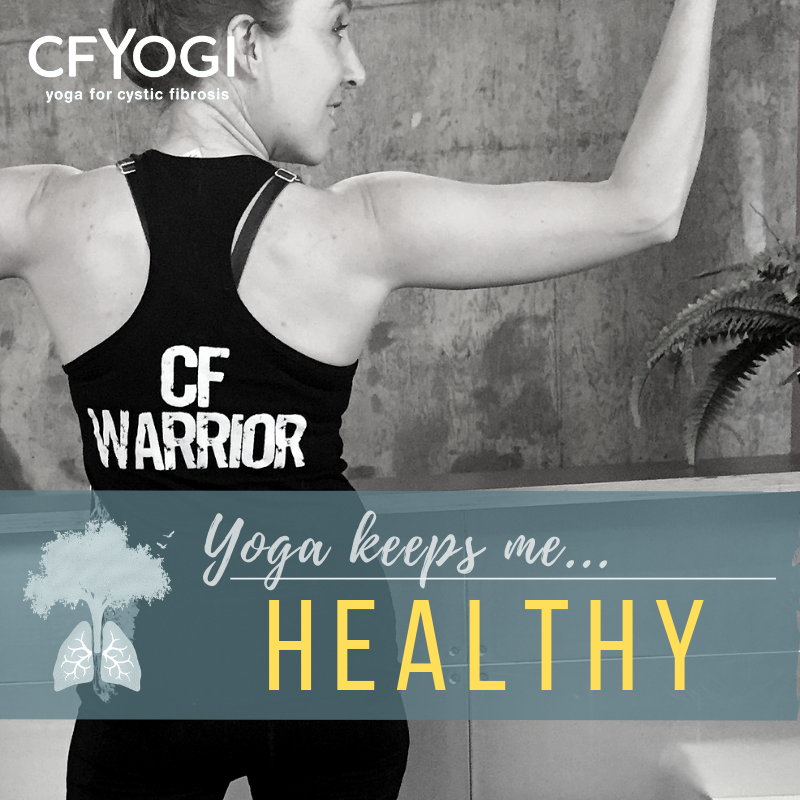 Our livestreamed yoga classes are FREE to the CF Community. Our free livestreamed yoga classes for people with CF and their support network were kick-started by the the generous support of an Impact Grant from the CF Foundation. Over 400 individuals in the CF community registered for our program in our first two months alone! This response has been overwhelming, making it clear that there is a huge need in our community . . . and that we must grow in order to support that need. We are actively seeking additional sponsors to help us add more classes, and increase our ability to engage our community! Our Impact Grant from the CF Foundation funds one class per week in 2019. Our first weekly class had over 64 PEOPLE signed up before the first class even took place – and many asked for alternative days and times. We seek additional funding to support these needs, so that our students can spread out and find times and classes that work for them and their daily lives. 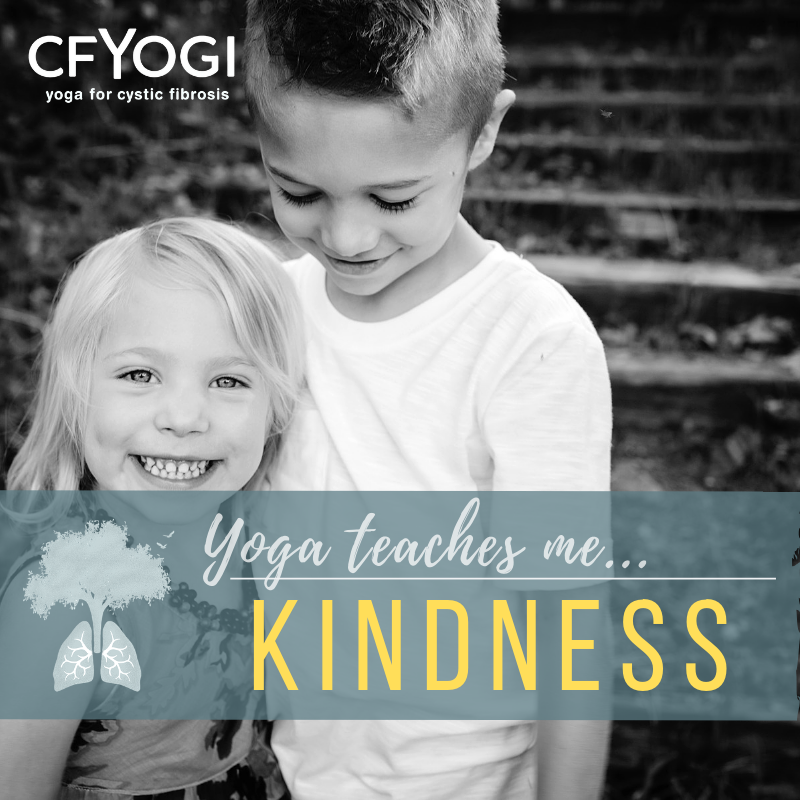 Our program model is highly scalable, and we have qualified CF-knowledgeable yoga teachers in our orbit who are waiting in the wings to start teaching as soon as funding becomes available! CF Yogi is a community effort that would not be possible without our volunteers and advisory board members, who are generous with their time and knowledge! We have a small-but-mighty advisory committee at the moment, and a handful of dedicated volunteers who have contributed their expertise in helping us get CF Yogi ready to launch. Now that our program is up and running, we are actively seeking additional board members and volunteers, particularly with expertise in non-profit development, fundraising, and publicity. We have a powerful mission and message, and believe that it’s worth spreading! Just as we believe that a person is more than just a patient, so too we believe that our organization is more than the sum of its parts. You can help us by spreading the word within your community about the good work that we’re doing. Online, please follow us on social media, and share our posts with your friends. Offline, please talk with your colleagues and neighbors who may share in our passion to serve the CF community! “I truly believe that when people work together, nothing is impossible. My very life is a testament to the power of people working together. When I was born in 1979, the average survival age for children born with CF was only the mid-to-late teens. Now at 39, I’m an opera singer, respected yoga instructor, and international TV personality. “If you told someone back then that I would achieve all those things despite my CF diagnosis, they would have thought it impossible. The impossible became possible because of the combined effort of thousands of people who used their gifts and talents to improve the lives of people with CF.